Hitachi Vantara announced the completion of its acquisition of REAN Cloud LLC, a global cloud systems integrator, managed services provider and solutions developer of cloud-native applications across big data, machine learning and emerging internet of things (IoT) spaces. Through this acquisition, Hitachi Vantara gains critical capabilities and industry-leading expertise in cloud migration and modernization, instantly elevating its cloud offering portfolio and managed services capabilities. Directly complementing the strength of its Hitachi Enterprise Cloud (HEC) and on-premises deployments, Hitachi Vantara’s solutions offer unified cloud management for workloads across public, private and hybrid cloud environments. By combining REAN Cloud’s expertise in public cloud and intelligent data governance with its robust global delivery ecosystem, Hitachi Vantara will now be better positioned to meet the growing infrastructure and analytics-based needs of its customers. Hitachi Vantara aims to address this gap with its new offerings, providing cloud migration and managed services that enable customers to operate across hybrid and multi-cloud infrastructure. Additionally, 47Lining, acquired by REAN Cloud last year, provides deep capabilities in cloud-based analytics and machine learning that powerfully expand Hitachi Vantara’s ability to maximize data-driven value for its customers focused on vertical IoT solutions. This partnership will give Meltwater’s PR and communications clients the ability to monitor and analyze premium licensed content across thousands of Factiva news sources globally, including: The Wall Street Journal, Barron’s, MarketWatch and Dow Jones Newswires. Waze moves to strengthen its position as Malaysia’s go-to platform for bringing together communities on and off the road with the appointment of Kelvin Sim as its new Country Manager for Malaysia. As the country’s new lead, Kelvin’s focus will be on growing the business, establishing local partnerships to improve the driving experience for all Malaysians and promoting community engagement to address transportation challenges. Kelvin brings a rich professional experience spanning over 18 years and across multiple industries, from being a part of the biggest radio boom in Malaysia, to charting marketing strategies for one of the biggest local banks as well as numerous telecommunications providers, in addition to being involved in growing, establishing and facilitating digital mobile strategies and solutions. 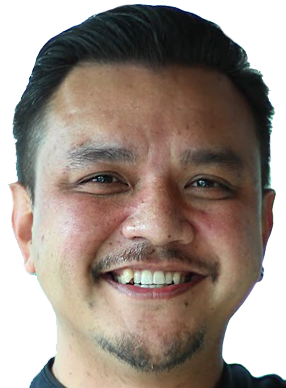 Having polished his skills in Malaysia, Vietnam, Thailand and the Philippines, Kelvin solidified his understanding of the Southeast Asian landscape while igniting his passion in digital marketing by developing strategic insights that help craft relevant content, bringing a brand’s story to life in the digital ecosystem. With these experiences, Kelvin is poised to lead Waze’s data-driven content-marketing initiatives to drive commerce for local businesses and build brand affinity with the Waze driving community. As part of Waze’s growth in the country, Kelvin now leads a team that is dedicated to managing local advertising and marketing services while leading more initiatives to help improve driving conditions in Malaysia through various initiatives such as the Waze Connected Citizens Program (CCP). In the past, Waze’s CCP collaboration with the Selangor state government has helped Selangorians take back control of their roads by allowing them to specifically report potholes that need patching. With Kelvin onboard, Waze hopes to see more meaningful collaborations take place. In addition to bringing in the most helpful features for drivers in Malaysia, Waze is also committed to building a great community that is empowered to solve problems using technology. One important role Kelvin will undertake is to engage with the Malaysian Waze community – one of the largest in the world, which currently numbers 5.9 million monthly active users. The Malaysian community of Waze Map Editors is also one of the world’s most active, featuring more than 300 volunteers who proactively contribute their time, skills and effort to share road insights and update Waze maps to ensure that Malaysians can have the best possible driving experience with Waze. JustCo, Southeast Asia’s leading coworking space, announced five C-Suite appointments to drive the brand’s aggressive regional growth strategy. 1. Spearheading the charge is Co-founder and Chief Operating Officer, Lu Liu who will focus on delivering personalized experiences and collaboration amongst businesses across the region. Lu, who was previously head of community, will continue to provide training and leadership to nurture JustCo’s center of excellence for Community to build strong, personable teams on-ground across the region, to champion the brand and build long-lasting relationships with clients. In line with the industry’s evolving demands, Lu will also lead the conceptualization and formalization of innovative programs and practices. 2. Co-founder Kong Wan Long will assume the role of Chief Commercial Officer. Wan Long developed the sales and marketing functions at JustCo from its inception, and in early 2018 set up the Enterprise team to cater to the growing corporate client demand. Under Wan Long’s belt, he successfully converted numerous enterprises to adopt and embrace the coworking concept, where corporate clients increasingly see value in working within a large vibrant community. Every JustCo center houses about 30% enterprise clients, JustCo has become the workplace of choice for many notable corporate clients. 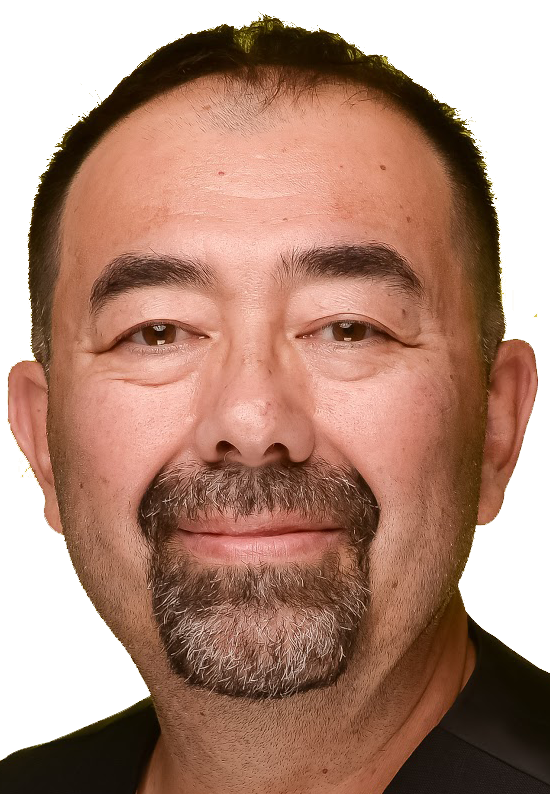 In his new role, Wan Long will continue to drive enterprise adoption and provide bespoke workspace solutions to Fortune 500 and multinational organizations to transform the way they work. 3. 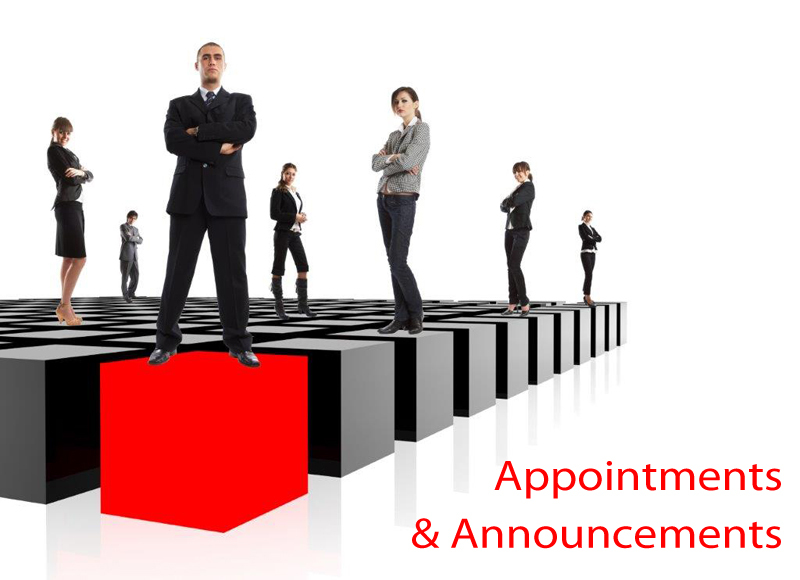 Koay Keng Teik has been appointed Chief Investment Officer. He will lead the group’s investment portfolio - which recently received a S$238 million boost from Singapore's sovereign wealth fund GIC and mainboard-listed Frasers Property. In addition to growing the group’s investments across the region, Keng Teik will establish a strong network of strategic partners in Asia who share a similar vision to JustCo’s, with a view to establishing JustCo in the best buildings across Asia’s key cities. Also bolstering the JustCo leadership team are new hires Chief Financial Officer, Jean Low and Chief Corporate Officer, Ho Seng Chee. 4. In her role, Jean will lead JustCo’s financial planning, risk assessment and budgeting across the region. Responsible for the financial growth of JustCo, Jean will also lead stakeholder reporting to ensure the current health of JustCo’s finances, and to accurately project the company’s successes for the future. Jean has over 25 years of experience, of which 10 were with the Mapletree Group, a Temasek-owned real estate company which manages over $40 billion in assets. There she served as Head of Risk Management, and Chief Financial Officer of the Mapletree Greater China Commercial Trust, which she, as part of the IPO team, successfully listed the REIT on the Singapore Stock Exchange. 5. As Chief Corporate Officer, Seng Chee will lead the human resource, legal and administration functions of the business, providing strategic insight into the changing dynamics between corporate functions. Prior to joining JustCo, Seng Chee was the Head of Group Human Resources at CapitaLand Limited, one of Asia’s largest real estate companies, which manages over $80 billion in assets and more than 14,000 employees worldwide. Founded in 2015, JustCo currently operates 20 centers across Southeast Asia with over 12,000 members ranging from Fortune 500 companies to small and medium enterprises and independent entrepreneurs. Adobe announced major updates to Creative Cloud applications including Photoshop CC, Lightroom CC, Illustrator CC, InDesign CC, Premiere Pro CC and Adobe XD. Adobe also introduced Adobe Premiere Rush CC, the first all-in-one, easy-to-use video editing app for social media creators, simplifying video creation and sharing on platforms including YouTube and Instagram. Furthermore, Adobe previewed new iPad versions of Adobe Photoshop CC and Project Gemini, a drawing app, reinforcing the company’s commitment to delivering high-performance apps that work seamlessly across surfaces. Strictly speaking, Adobe introduced major updates to its desktop applications, including: a new Content-Aware Fill workspace in Photoshop CC; performance and workflow improvements across Lightroom CC and Lightroom Classic; the ability to design with photorealistic, Freeform gradients in Illustrator CC; a powerful Content-Aware Fit in InDesign CC; the power to instantly create and animate unique, stylized puppets using a webcam and reference artwork with Character Animator’s new Characterizer; a new rendering engine for improved render preview performance in Dimension CC; and new Sensei powered search features and exclusive content in Adobe Stock, including a new library of clips from GoPro. In addition, Adobe announced it is addressing the needs of the video animation industry with new workflows and integrations across apps, including Animate to After Effects, Animate to Character Animator and Adobe XD to After Effects. Adobe also previewed two future mobile apps designed to usher in a new era of multi-surface creation while complementing workflows across Adobe’s existing flagship desktop applications, namely Photoshop CC on iPad and Project Gemini, a new app designed to accelerate drawing and painting workflows across devices. Project Gemini, coming first to iPad in 2019, combines raster, vector and new dynamic brushes into a single app experience built for drawing. The 2019 release of Creative Cloud will deliver more than a dozen new Adobe Sensei-powered features and productivity enhancements – building on dozens of existing Sensei-powered features already available to Adobe Creative Cloud, Document Cloud and Experience Cloud customers. Designed to make creatives more successful and supercharge their productivity, the 2019 Creative Cloud release delivers significant performance and usability improvements, greater cross-application integration, intuitive collaboration features and faster access to file assets and services. Among the new capabilities, Adobe is optimizing the in-app Start experience to accelerate customer on-boarding with new apps and improve discoverability of new features and product capabilities. Last but not least, Adobe previewed Project Aero, a new cross-device AR authoring tool that enables creators to design augmented reality experiences. Project Aero is the first AR app built for designers and artists and was first sneaked on-stage at Apple’s Worldwide Developer Conference earlier this year. Project Aero enables optimal delivery of AR experiences, empowering creatives to place digital content in the real world. In general, Adobe announced deeper integrations between Creative Cloud and Adobe Experience Cloud that unify creative and marketer workflows. With these integrations, brands can easily access assets in Experience Manager within Creative Cloud apps, Adobe Stock images can be leveraged in Experience Manager, and 3D content designed with Dimension CC can be adjusted in Experience Manager and published as marketing assets. Ooyala and Telstra announced the completion of the management buyout of Ooyala. Building on the success of Ooyala under the current management team, combined with Telstra’s new focus on its Telstra2022 strategy, this transaction provides the foundation for the next phase of growth for Ooyala. Telstra will remain a valued go-to-market partner and customer. Horangi Cyber Security announced that Kevin Lee has joined the company as Executive Chairman. In his new role, Kevin will work on deepening Horangi’s cybersecurity capabilities by harnessing AI and machine learning to enhance the Horangi platform and build out a world-class executive team. He has been serving on the Horangi Board of Directors since August 2016. Prior to Horangi, Kevin was the founder and Head of GIC Labs at GIC, where he led GIC's efforts to harness innovation, technology and data science in investing. He was previously VP of Data and Growth at Grab, where he started and built Grab's capabilities in AI and data science. Kevin was also the Head of Asia at Palantir Technologies, where he started his career and built out Palantir's Asia business, working with customers from a wide variety of industries to harness the power of data in their organizations. Earlier in his career, Kevin served in the Administrative Service in the Singapore Government in the Prime Minister's Office and Ministry of Finance. Kevin graduated from Stanford University with a BS in Computer Science with Distinction, which he attended on a PSC Overseas Merit Scholarship from the Singapore Government. Global experience agency Imagination announces the appointment of John Steere as Managing Director for China. Based in Shanghai, Steere will report to Patrick Reid, CEO of Imagination Group. 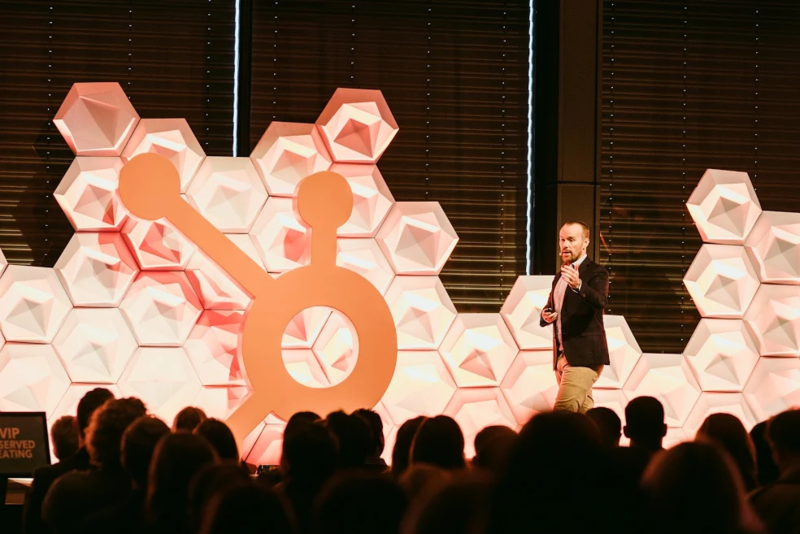 HubSpot’s new regional flagship event, GROW, will take place on October 18, 2018 at Marina Bay Sands Expo and Convention Centre. The company’s premier industry event in Asia has been designed for business builders, marketers and sales leaders, presenting speakers likes Arvinder Gujral, Twitter’s Managing Director for Southeast Asia and Go Jek’s VP of International, Andrew Murphy, amongst leaders from Intuit, Shopify, Stripe, Shopback, AWS, and Dentsu. HubSpot’s own executives will also take the stage, including JD Sherman, COO, Jeetu Mahtani, Managing Director of International and Shahid Nizami, APAC Managing Director. HubSpot invests heavily in education to help businesses grow better. For example, the HubSpot Academy is home to 20+ comprehensive, and completely free online courses developed to help people learn and grow -- whether they are HubSpot customers or not. “I see this event as an extension of that commitment to education. It’s the opposite of a vendor event -- it’s a space for us to bring our best content to life, with a local twist. We’ll be joined by over 15 leaders from world class companies who will take the stage to deliver masterclasses in what it takes to grow a bigger and better business in APAC,” Shahid Nizami, HubSpot’s MD APAC, said. The debut of GROW news follows HubSpot’s recent commitment to further growth in the region. In the past two months, HubSpot announced the appointment of ex-Google executive Shahid Nizami as APAC Managing Director in a newly created role, as well as an additional office space at its Asia Pacific headquarters at Mapletree Anson, as part of its plan to create approximately 100 new jobs in Singapore by 2021. To mark the launch of the flagship event, GROW, HubSpot’s Chief Operating Officer, JD Sherman, will be attending from the company’s headquarters in Boston, MA. Tickets can be purchased here. 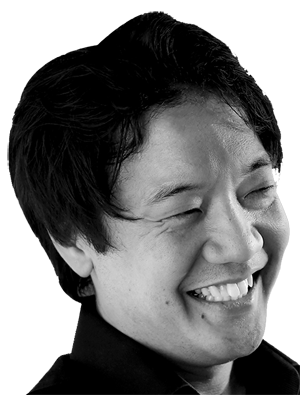 Yosuke Suzuki, a founding member of R/GA Tokyo, has been named as the agency’s new Managing Director. Formerly Executive Strategy Director, Suzuki helped establish the office in Tokyo in 2017. He previously had held senior strategy positions with Dentsu and Naked Communications, leading local and regional planning for multinational automotive, beverage and FMCG clients, and prior to that served as Planning Director of DDB Tokyo. Since joining R/GA, Suzuki has been responsible for a string of local new business wins, including Shiseido and Glico, among other Japanese clients that have seen the office become the network’s fastest growing. He’s also pioneered new ways of working with Japanese clients, and championed innovative brand experience work for the agency’s rapidly growing roster. Dentsu Aegis Network has acquired Branded Ltd, Asia Pacific’s leading producer of live media events. Branded will join lifestyle marketing agency MKTG to scale capabilities in live media events, through the development of new age creative, content and IP ownership in the high growth areas of sport, music, gaming and entertainment. Established in 2002 with offices in Singapore and Hong Kong, Branded connects businesses, brands, celebrities and fans through large and small scale events. It specializes in the conceptualization, programming, organization and production of dynamic conferences, live music festivals, educational academies, and fan events. Notably, Branded is focused on developing owned intellectual properties, events and content to build and own audiences. Branded’s core credentials include Co-Producers of YouTube FanFest global tour, owners and producers of ‘It’s A Girl Thing’ and the award winning ‘All That Matters’ – Asia Pacific’s largest entertainment business and consumer festival connecting global industry pace-setters in music, digital, sports, marketing and gaming. In China, Branded produces Sports Connects and Tencent Music Connects. Marketing communications agency Text100 has been appointed by Skyscanner, to strengthen the brand’s footprint in Singapore, following a competitive pitch in June. The partnership will see Text100 work to build a compelling brand narrative through creative and inspiring storytelling that would be amplified across earned and owned channels, including an influencer engagement ambassador programme.